"It fitted perfectly with our style, mechanics and overall theme"
Stylish and multi-award-winning noir puzzle games FRAMED and FRAMED 2 sneak on to the eShop this week as part of the FRAMED Collection, and while visiting Kyoto's BitSummit indie game show over the weekend, we had the chance to talk to the game's director and designer, Joshua Boggs. 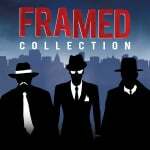 Nintendo Life: When was the decision made to bring FRAMED and the entire collection to Switch? 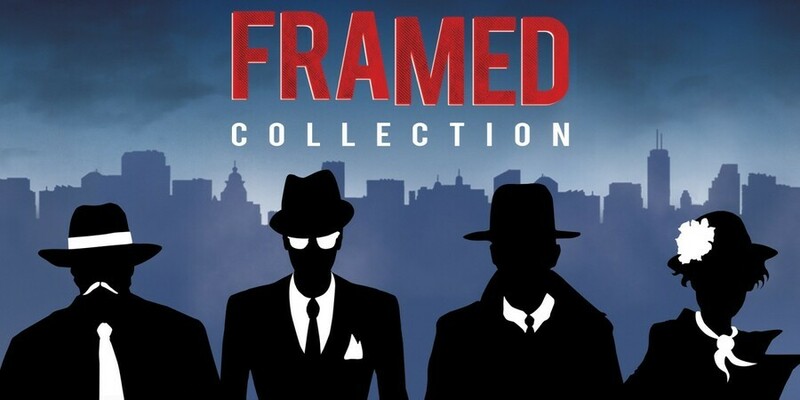 Joshua Boggs: It was made shortly after the successful release of FRAMED 2, players were very excited at the release of the new title, but we kept getting asked to bring it to new platforms. The Switch is a very versatile device that fitted perfectly with our games style, mechanics and overall theme. I mean, FRAMED is literally a game about switching comic book frames to change the outcome of a story - the Nintendo Switch was a perfect fit. Yeah! FRAMED’s core mechanic is to change the order of comic book frames in order to change the outcome of the story. The main story arc tells the tale of how two protagonists get framed and caught up in noir-styled espionage. How many possible outcomes can there be in any one scenario? It honestly just depends on the scenario and the puzzle’s difficulty, some only have 1 or 2 outcomes, but others have up to 16 different kinds of outcomes. What influenced the gameplay and art style? 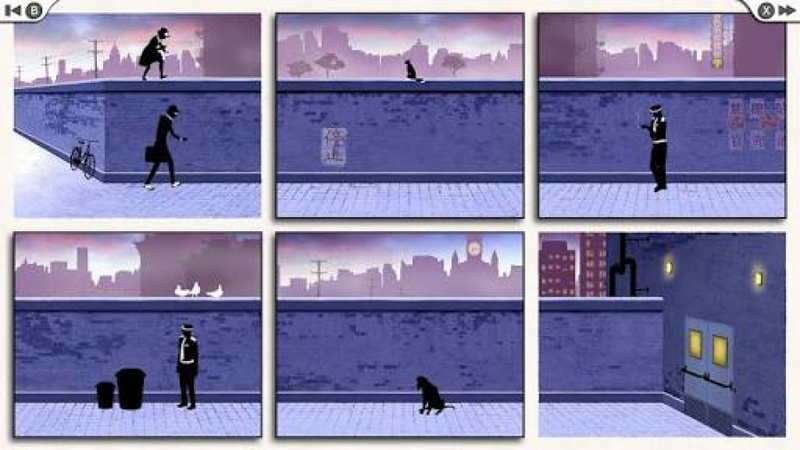 The gameplay mechanics of FRAMED games basically informed the noir-influenced aesthetic. In terms of inspirations, Saul Bass’s title work for Hitchcock films was a large one. Other games were an inspiration too, mainly older ones such as Strider, Actraiser and Eswat. That was also one of the reasons FRAMED is set in the city is that there was an excuse to make huge, distant skylines and sunsets. Other key inspirations that we all referenced (for design as well), films such as Alan Parker’s Angel Heart, many of Hitchcock’s films (with Vertigo being the focus). We also watched a lot of Cowboy Bebop, too. So it’s all a bit of a mix, but hopefully from all of that disparate inspiration we landed on something unique. After all the praise that the first game (rightly) received - including from one Hideo Kojima himself - how much pressure was there on you for the next game? The development came naturally, as we had so much of this story to tell and so many ideas that we couldn’t fit into the first game. 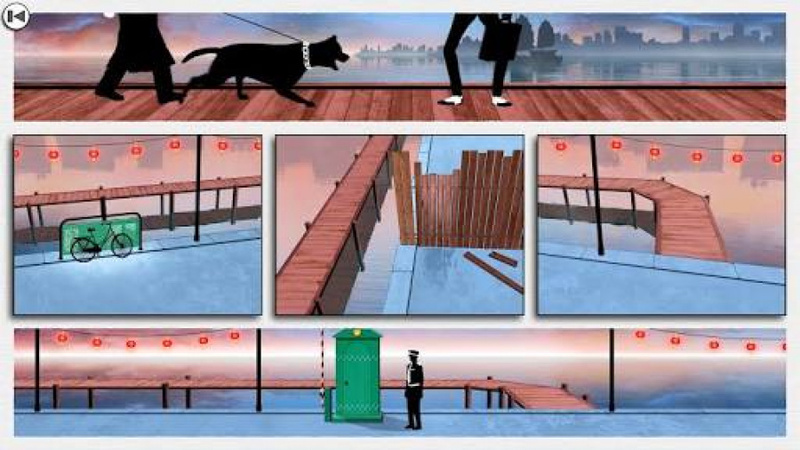 FRAMED 2 was originally a DLC, but expanded so quickly into a game of its own. But there was a lot to live up to. The first game was a unique, genre-defining experience, so we needed to make sure that we delivered on that high quality experience players have come to expect. How much did you experiment with narratively or gameplay-wise, in the beginning and through to the sequel? The original prototype really began as a thought experiment. We wanted to see if, instead of giving players control over the characters actions, we gave them control over the context that those actions happen in. 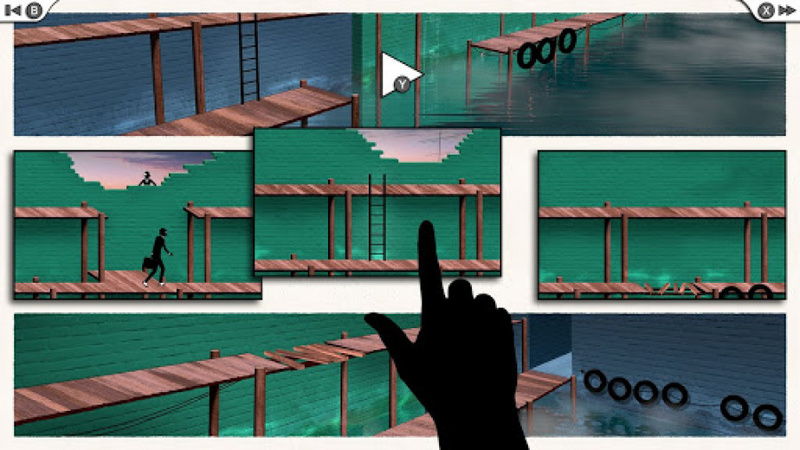 The narrative developed out of this gameplay experiment. Any characters, locations or ideas that you tried out but didn’t get in the sequel (or prequel)? Definitely, there was a bunch of stories, puzzles, and other characters that we had to leave on the cutting room floor. Could they surface in a future instalment or a new IP? Certainly. There was a lot we couldn’t fit in and we do have more of this story to tell. It is difficult to speak about them right now, but there is nothing to say that we can’t bring these into a future title or use their influences in any new IP. What’s next for the FRAMED franchise - possibly the last instalment in a trilogy? Possibly, we definitely have enough for a final installment. At the same time we are happy with how we left FRAMED 2, as a prequel it focused on answering all of the questions people may have had in the first game. If we ever did a final installment, we would need to be careful not to leave players with more questions. The art style is really cool. Could we see a physical version or maybe an art book or soundtrack? Haha, yup, if there is a demand, there certainly will be! There will definitely be the second instalment of the FRAMED Original Soundtrack and another vinyl! Hmmm...doesn’t look very interesting to me, but maybe others will like it. could be interesting and seems logical for fun but it would depend on how many level's and its price before i get it. Loved this game on iOS; definitely getting this when it’s released on Switch. More interviews with developers like this article and less articles with hackers and silly rumors, please. When I saw the picture of this article on the front page, I was instantly reminded of the old DS Classic Feel the Magic/Project Rub, from Sega. I already preordered. It wasn't that expensive and seems like a great way to kill some time. I have this pre purchased and I'm really looking forward to it as it's stylish, innovative and at a good price too.